The Big Ten is not only home to world-class universities and outstanding sporting events, but Big Ten country also produces some divine mid-western wine within miles of campus. Visit these wineries while on your tour of the Big Ten, and don’t forget to pick up a few bottles for your tailgate! Alto Vineyards in Alto Pass, Ill. operates this retail shop and tasting room in Champaign. 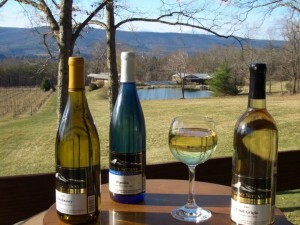 All of their wines are available for tasting, and purchase by the bottle when available. Grab a seat outside when the weather is nice, and enjoy some local cheese while tasting the local vino, along with live music in the summers and early fall. 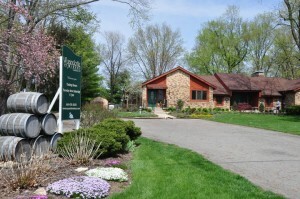 Started in the 1960’s, Oliver Winery is Indiana’s oldest and largest winery. 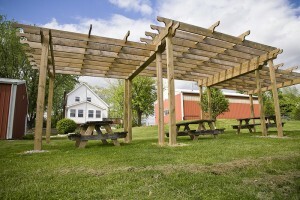 Enjoy wine tastings, free weekend production tours and an assortment of gourmet picnic foods. Established in 1983, Butler Winery is the fourth oldest operating winery in Indiana. Free tastings seven days a week at the rural vineyards and the downtown tasting room. Enjoy small plates and wine tastings, or bottles, inside or on the outdoor deck. Check the events calendar for the live music schedule. Cedar Ridge boats 5,000 vines and 7,000 square foot winery, distillery, and tasting room. Take advantage of complimentary tastings at the tasting bar, or sit down in the tasting room with a bottle. Wood-fired pizzas and small plates are available to go along with your tastings, while prime rib dinners are served Wednesday-Friday. Complimentary tours given any time Wednesday-Friday. Complimentary scheduled tours on Saturday and Sunday take place at 1pm and 3pm. Private tour and tasting packages are offered for various size groups. The Ackermans started making wine in their basement in 1956. Today, they are the oldest operating winery in Iowa. Take a self-guided tour around the wine cellar and the press room. Enjoy complimentary tastings of traditional red and whites, as well as Dandelion, Mango, and Pomegranate wines. Located in the historic Amana Village, Village Winery makes several fruit and berry wines such as peach, plum, rhubarb, blackberry, and cherry. Tastings are offered at the bar, and bottles are all under $10. When you visit Fireside Winery, you are welcomed into the home of owners Bill and Rona Wyant. Indulge in wine tastings while enjoying an appetizer alongside a firepit on the lawn or beside the patio fireplace. Live music on the weekends-see events calendar for details. If you’d like to enjoy all the the winery has to offer, book your overnight stay at The Retreat at Fireside Winery. Although open only since 2005, the Burgdorf’s have been winemakers for over 30 years. Located on 5 acres, Burgdorf’s has a tasting room, as well as hosts many activities throughout the year. Be sure to taste their award-winning Raspberry Wine. For just five dollars, visitors can taste six wines and receive a complimentary James Arthur Vineyard wine glass. The vineyard also offers a variety of foods including an assortment of sausages, cheeses and breads. Thurs, 3pm-9pm (through July), Thurs, 5pm-9pm (after July); Year Round: Fri, 5pm-9pm; Sat, 12pm-9pm; Sun, 1pm-8pm. A fairly new winery, WunderRosa opened in 2009 with four wines. Today, they make 10, and growing. 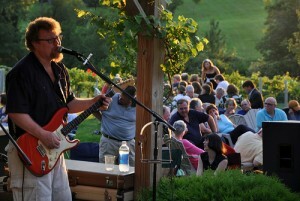 Take a wine trail tour and enjoy live music. Order a sausage, cheese, and French bread plates to accompany your wine, and take a seat in the tasting room or on the patio. Wyandotte Winery has been producing fine wine since 1977 in Columbus. The cellars are open to the public (the vineyards are not) and offer wine tastings, cheese and cracker plates, and tours of the facilities. Don’t leave without one of Wyandotte Winery’s famous wine cakes! Aside from wine tastings, Hidden Lakes offers a full menu for lunch and dinner. Gather in their comfortable tasting/dining room, or relax on the patio along the lakeshore. Live entertainment every Thursday evening and Sunday afternoons in the summer. 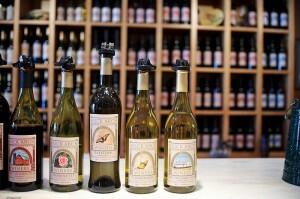 58 varieties of grapes are grown on 4 acres at State Run offers tastings of their 16 wines. 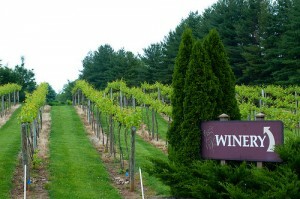 The local vineyard & winery in the heart of Lion Country and a Penn State tradition for over 20 years. Visit the mountainside location above the historic village of Linden Hall and taste our award-winning wines. Winery tours by appointment, $5 per person, includes a tasting and a souvenir wine glass. The winemakers have been making wine since 1976, and opened Seven Mountains in 2008. 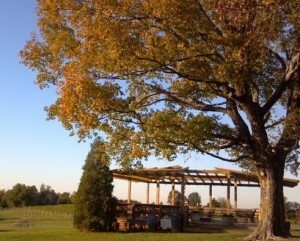 Taste their wines, take a tour, and enjoy live music and campfires on Friday evenings in summer and early fall. 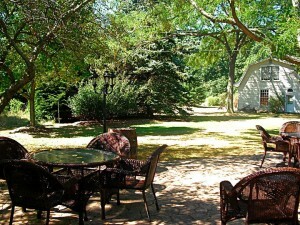 Visit the tasting room located in an antique Hoosier farmhouse to enjoy their hand-crafted fine wines from local fruit. Tastings are FREE. As a member of the Ohio State University Marching Band, I quickly grew to appreciate the dedication and pride each Big Ten Marching Band exhibits, as well as the traditions, history and culture of each school they represent. Being a passionate world traveler, my trips to Big Ten schools have always involved an effort to go beyond the game, scoping out the best local places to eat, delving into local history, viewing the campus architecture and learning about quirky folklore.